Rotary Club President Ian Riseley has set a challenge for 2017-18 to help support the environment by planting 1 tree per Rotary Club member by Earth Day 2018. This is a great legacy the Rotary Club can leave to show future generations their support for years to come. This is how an urban forest in your community can look. Location Sacramento, CA. 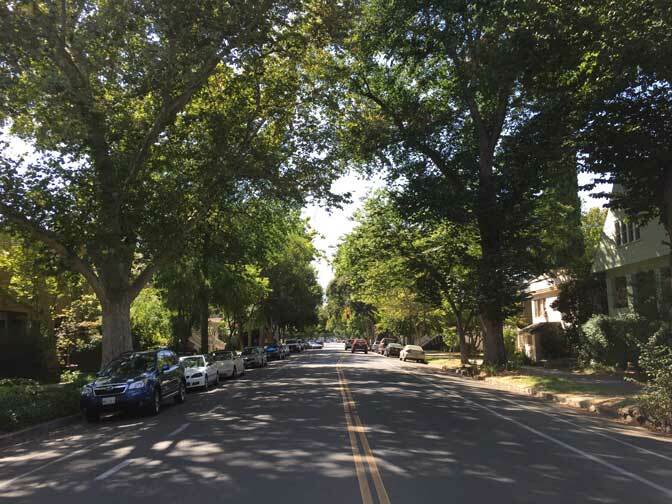 California ReLeaf is supporting the Rotary Club in their efforts by providing various District Clubs with information about trees — from tree planting to watering and maintenance. In addition, Rotary Club chapters can work with ReLeaf’s Network of almost 100 organizations throughout the state to plant trees in your local community and develop a maintenance plan. Given the semi-arid climate in California, it is critical that you water and care for young trees, especially in the first 5 years after planting. ReLeaf is helping develop an Arboriculture Associate Degree program for community colleges. There is a serious shortage of skilled arborists in California, and this is an excellent career path for young people who like physically challenging activities. To learn more click here. To find one of our Network organizations in your local community in order to partner on tree planting event, please visit our interactive map here.